The Moulin Rouge and Fin de siècle Paris has always been a fascination of me. Probably brought around by the 2001 film which, I am not going to lie, has remained one of my favourite films for most of my teenage years. My general love for art, theatre, dance and fashion has all come together quite nicely with this obsession. 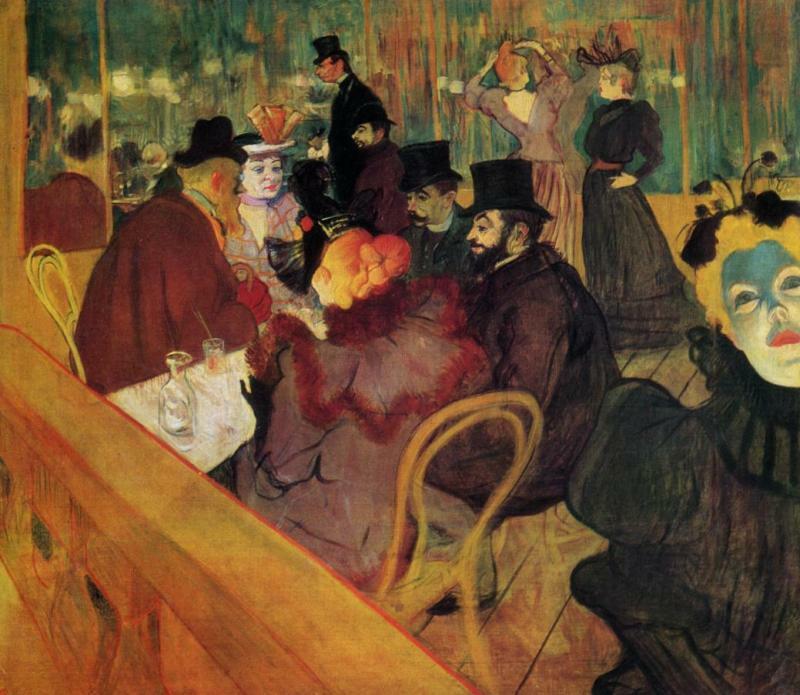 I recently attended the exhibition, Toulouse-Lautrec and Jane Avril: Beyond the Moulin Rouge, at the Courtauld Gallery at Somerset House, London. We attended a special ‘Moulin Rouge Late’ starting at 6pm with food, drink, exhibition talks and even a can can dance performance! It was truly a fantastic exhibition in its own right but the added layers of entertainment funded by the Art Fund, of which I am a proud member. The exhibition is the first time the relationship between Toulouse-Lautrec and Jane Avril (her psuedonym, real name being Jeanne Richepin) had been explored through art, and it proved to be a really interesting collection. 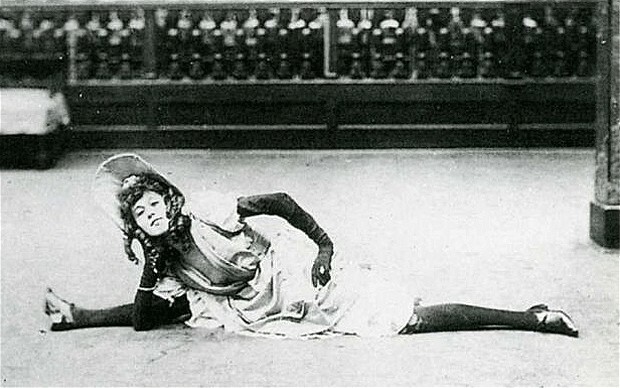 The exhibits not only included art my Toulouse-Lautrec himself, although of course this was the mainstay of the exhibition, but also photographs and memorabilia from the Moulin Rouge, medical documents and sketches of the ‘hysteria’ which was believed to be what have Jane Avril her eclectic and ‘almost epileptic’ dance style. 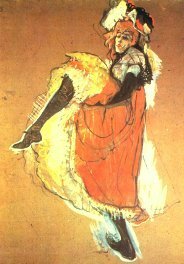 Some beautiful prints and sketches of Jane Avril by Toulouse-Lautrec were exhibited, including the famous 1983 Jane Avril poster plus the original sketch on which it was based. I found some of the original photographs of Jane, possible keepsakes and memorabilia to give out to clients of the Moulin Rouge, incredibly interesting. Too often we see these images and paintings and forget that these are real people. 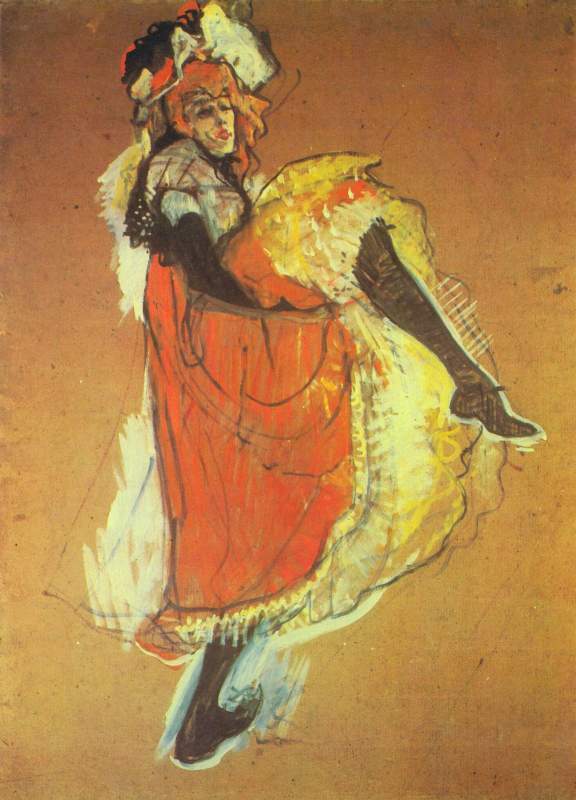 We had a talk on several of the images from a student at the Courtauld Institute, a very insightful talk about a particular painting Toulouse Lautrec au Moulin Rouge, his only work to include himself and Jane Avril in the same image. This image was a favourite of mine as it included so many characters I had heard about, such as May Milton and La Goulue, other dancers famous around the time of the cafe concerts. One great thing about this exhibition had to be the entertainment. After the talk we were invited down to another room which contained some interesting images of the same themes, by different artists, for a performance from a dancer named Ruby Blues, a really fun can can dance performance! Overall I’d have to say this is one of the best exhibitions I’ve ever visited, it was insightful and full of fantastic stories and history behind each piece. Having read so much around the ‘character’ of Jane Avril I know feel I know her so much better. ~ by franhaselden on July 29, 2011.